Be the first to share your favorite memory, photo or story of Lucy M.. This memorial page is dedicated for family, friends and future generations to celebrate the life of their loved one. 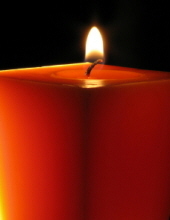 Lucy M. Perry Owens, age 76, of Cemetery Road, Williamsburg, Kentucky departed this life on Sunday, January 27, 2019 at Saint Joseph of London in London, Kentucky. She was born on October 3, 1942 in Williamsburg, Kentucky to the late Carmen Andrew and Leona (Moses) Perry. She was also preceded in death by her son, James Owens. She is survived by two children, Linda Moses of Tunnel Hill, Georgia and Ruby Jean Owens of Williamsburg; six grandchildren, Savannah Caddell of Richmond, Kentucky, Paige Owens of Williamsburg, Shawn Owens of Georgia, Holly Prewitt (Carl) of Williamsburg, Heather Moses Prewitt of Williamsburg and Hannah Moses of Williamsburg; several great grandchildren; brother, Don Perry of Williamsburg; sister, Dorothy Towe of Corbin; many nieces and nephews; and a host of other family and friends to mourn her passing. To send flowers or a remembrance gift to the family of Lucy M. Perry Owens, please visit our Tribute Store. "Email Address" would like to share the life celebration of Lucy M. Perry Owens. Click on the "link" to go to share a favorite memory or leave a condolence message for the family.